If you are a fan of a more traditional charm bracelet style, the 7" double cable charm bracelet is an option. This bracelet is sturdy enough for a single or multiple pendants. 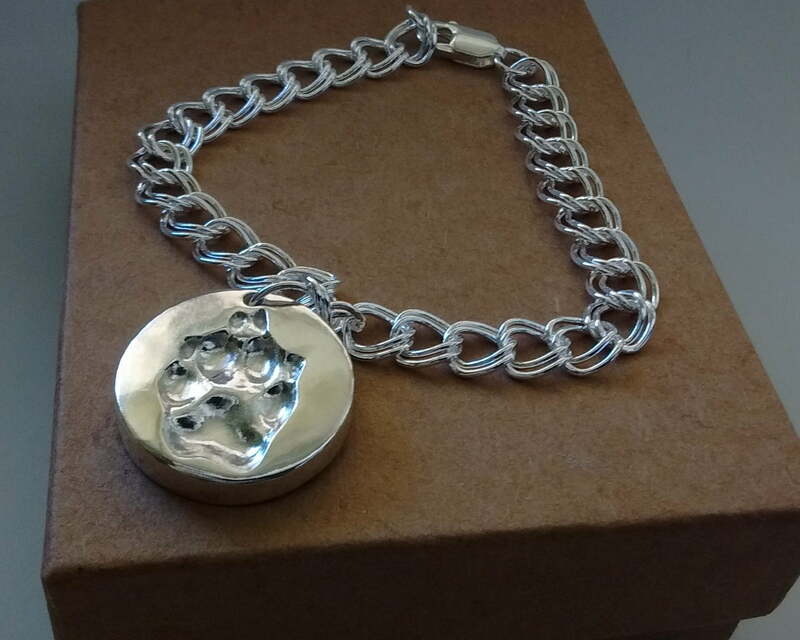 Pictured: A small oval imprint pendant on the sterling silver double cable charm bracelet.